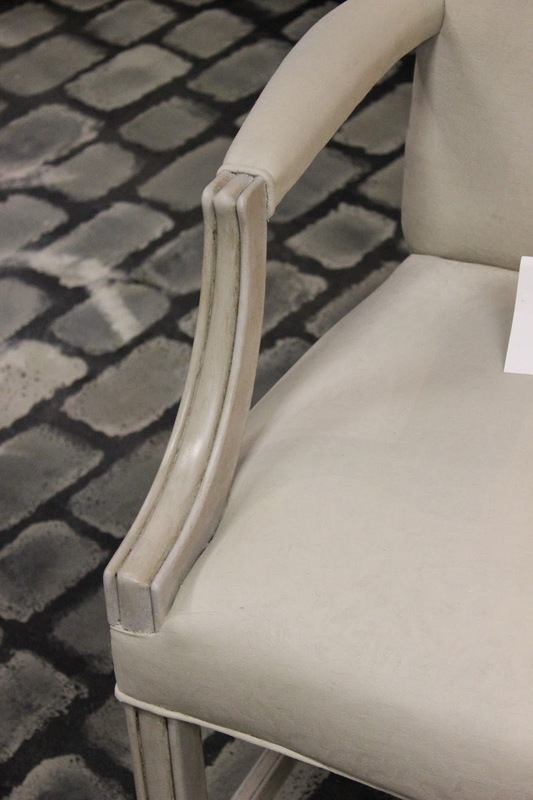 Home »Unlabelled » Painted Upholstery with Chalk Paint and a Pearl Plaster Croc Top! 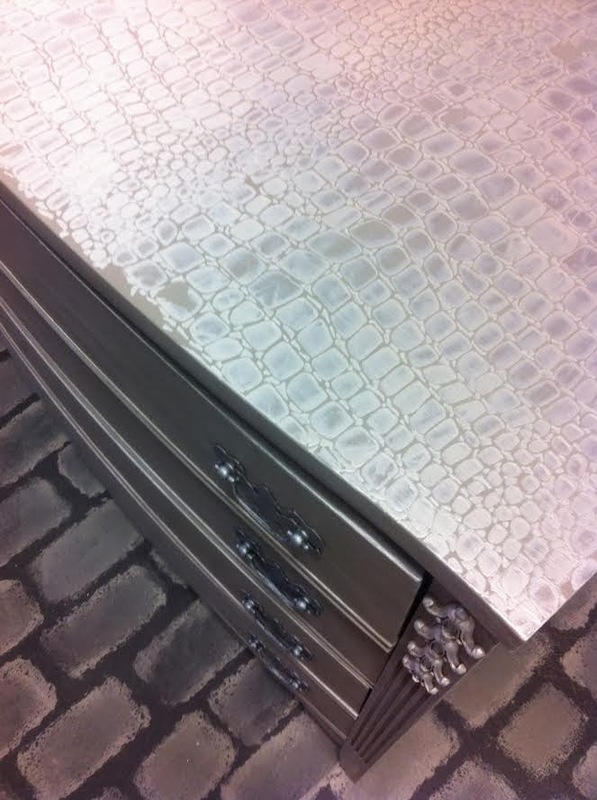 Painted Upholstery with Chalk Paint and a Pearl Plaster Croc Top! We have had quite a few fun projects in the shop lately. 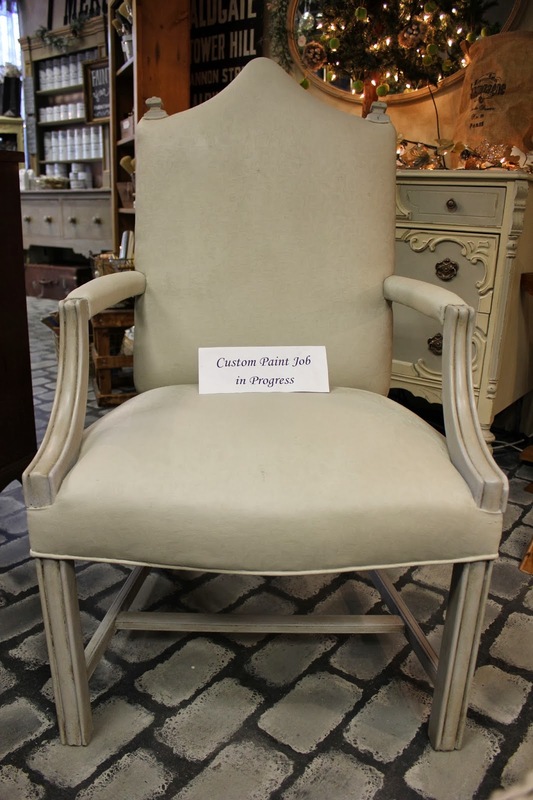 One was painting a set of 6 chairs for Kim. 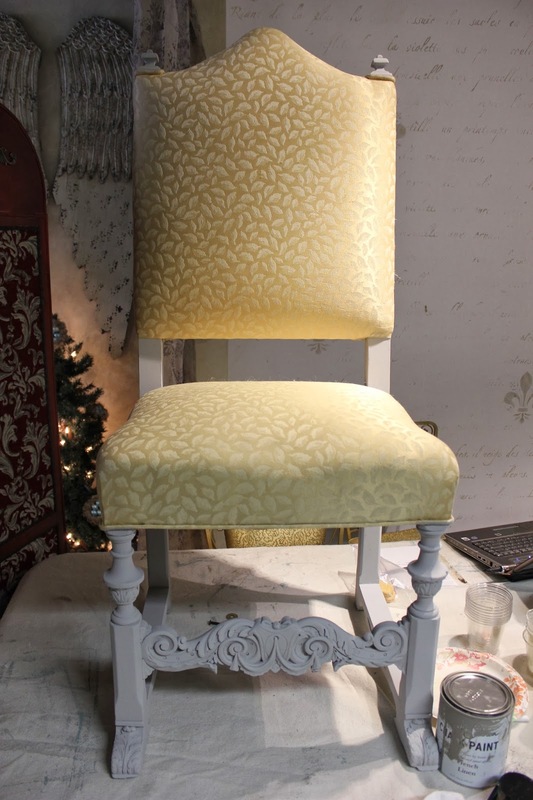 with shiny gold jacquard fabric and a tired brown wood frame. 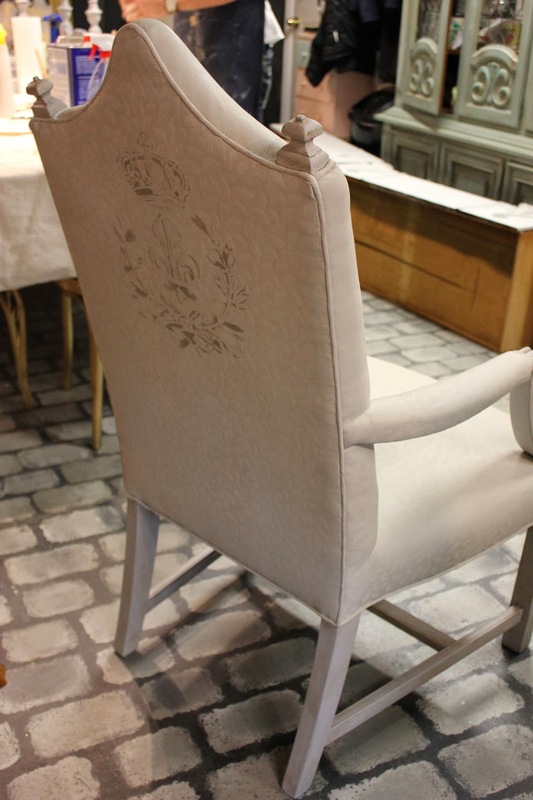 with a stencil to the back of each chair. 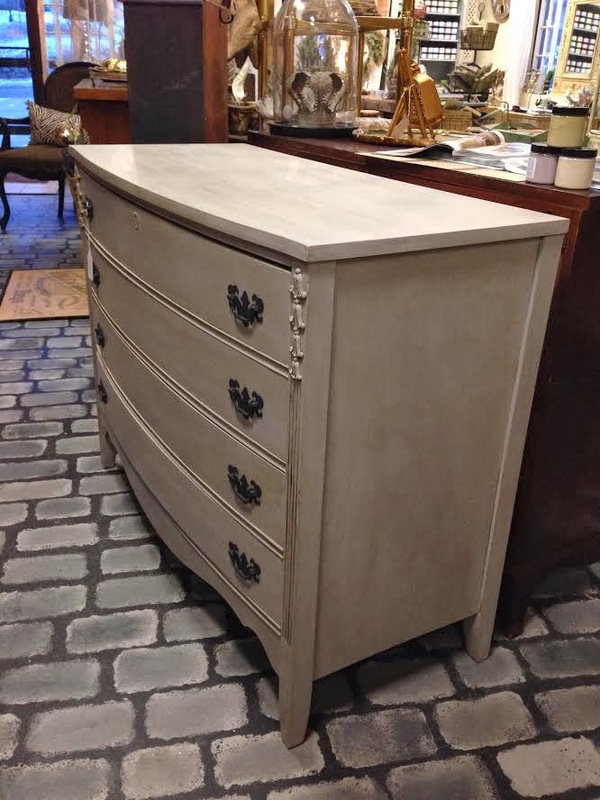 Old White Chalk Paint, and the stencil was 100% French Linen. with both clear and dark wax for a nice antique look. thinned out with mineral spirits and applied with a wax brush. nice lustre a day or so after waxing. to lighten the weight of the paint. That is why it needs 3 coats. you can get cracking. We painted each coat a day apart. unlike painting wood, where Annie's paint goes a long way. 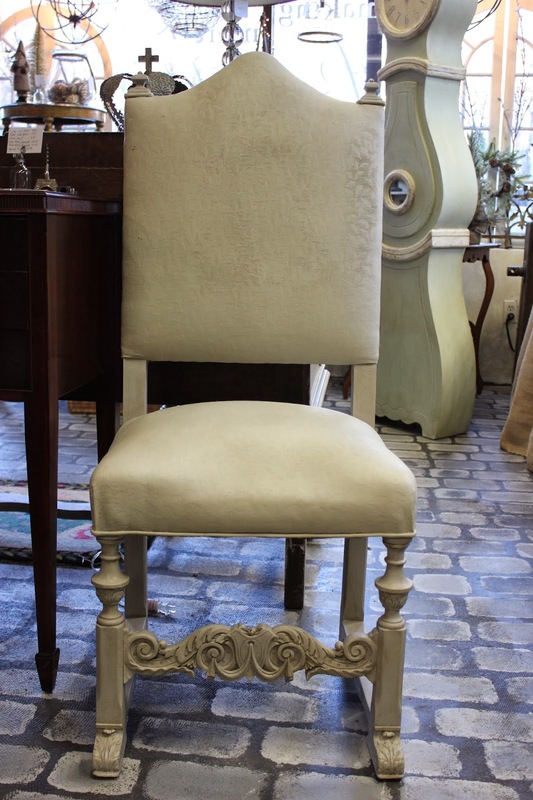 Still all in all, its a great value to repurpose your chairs using Chalk Paint. and you have the most amazing looking crococile top on your piece! I think it will be finished tomorrow with the wax job in clear and dark. Of course I will share it when its ready for its complete reveal!